zzz!! !, 18 Aug 2011hey guys!! I thought of buying X8 but reading the comments I think the camera and battery lif... moreI prefer SE W8(Walkman Series) it has good battery life than all other mobiles. Hw long the battery stands for pls tel a comment? Hi frens please help me ..i m going to buy a cell phone but m getting confused which to buy , Galaxy Pop or Xperia X8???? please reply me as soon as possible..
can anyone tell me which SE phone has good battery life and good camera with the same price as X8? which is best one - Samsung galaxy pop or sony ericsson xperia x8 ? Sonja, 17 Aug 2011Which one I should buy-x8 or nokia 5233?5233 is nothing comparing it to X8, only the price is its advantage. You should compare X8 with nokia C5-03 - 3G/hspa, 5 Mp camera, Wi-Fi, resistive touch scr. Both phones provide good connection facilities for internet and social media, and both are su*ks in camera dept. The price is slightly no diff, so the only thing to consider is whether you choose symbian or android phone. geo, 16 Aug 2011hey, i can get this phone on a 10 pound a month contract. 100 mins unlimited internet and unli... moreNo, the speaker is loud and good. I'm using poweramp and the sound quality is very good. randomguy, 17 Aug 2011hey guys do u know an application for the music player so that i can play the songs in mega bass?Of course there's no 3rd party music player app that featuring Mega Bass, because Mega Bass is a Sony's trademark as well as DNSe in samsung. 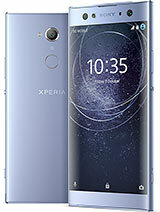 And recently SE is no longer using Mega Bass for sound enhancement, the new Xperia series now use SONY xLOUD technology for better music experience. Which one I should buy-x8 or nokia 5233? hey guys do u know an application for the music player so that i can play the songs in mega bass? Hi gays, i baught this phone 2 months ago, i like it so much, but there are two broblems at 1st there is updat neither android 2.2 nor 2.3 and impossible to move apps to sd card but i still like it 'caus ther are lot of apps wich goes with ! Aneesh Puthalath, 16 Aug 2011Hi ....... This is my first post to GSM Arena though I was addicted to this site for last 2 Ye... moreHi gays, i baught this phone 2 months ago, i like it so much, but there are two broblems at 1st there is updat neither android 2.2 nor 2.3 and impossible to move apps to sd card but i still like it 'caus ther are lot of apps wich goes with !